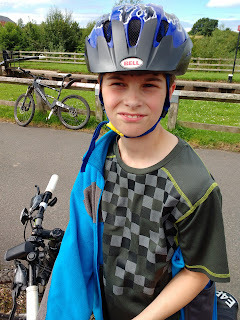 Today we went on a bike ride with Mark's Scouts, fortunately it stopped raining and we actually saw some sun for a change! 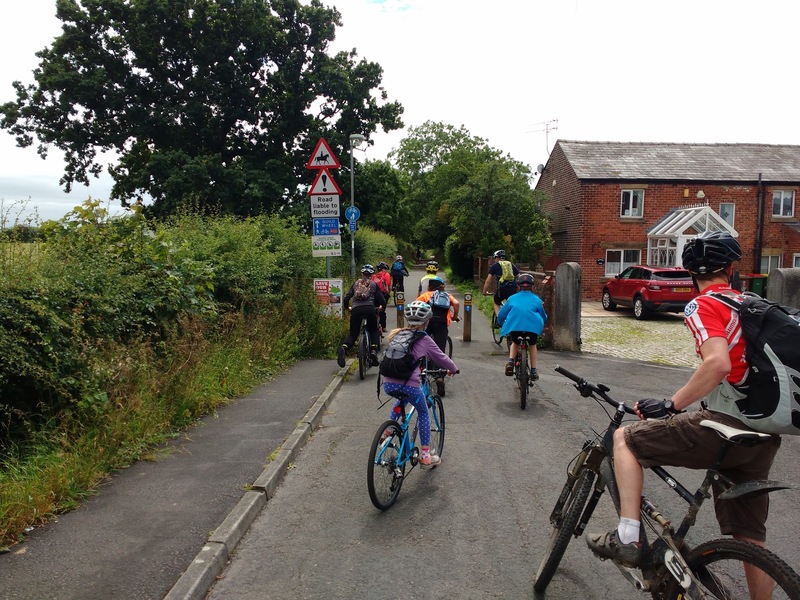 They set off at quite a pace and I wasn't sure if they would be able to keep it up but at the end of the ride Mark's bike computer said we had averaged 10mph which was pretty good considering some of the children hadn't cycled this distance before. Steve and Dave who are the other Scout leaders are very keen cyclists and had cycled around The Trough in the morning but we just settled for this ride. We rode to the meeting point which is just over 4 miles from home so we added an extra 8 miles to the trip which ended up being 30 miles. Luke did really well as he normally rides on the back of the tandem so 30 miles was a good ride for him. 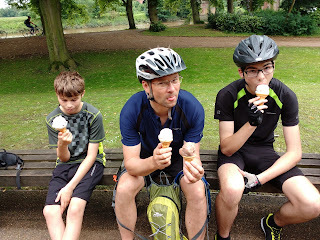 We stopped for a well deserved ice cream at the park and it was nice sitting in the sun and enjoying the ice creams. 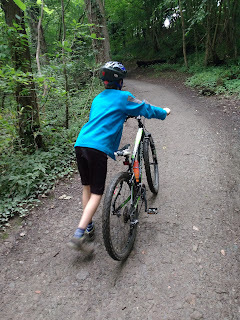 We were surprised how quiet the Guild Wheel was, it was a lovely Saturday afternoon and although the park was busy we hardly met anyone on the route. The last part of the ride was a steep climb which everyone walked up before getting back on their bikes for the final half mile where the parents were waiting to take the Scouts home. We had a great ride and it made a nice change that all the Scouts turned up with reasonable bikes, normally Mark, Dave and Stephen end up spending time pumping up tyres and oiling chains before we start but today everyone's bike was ok.